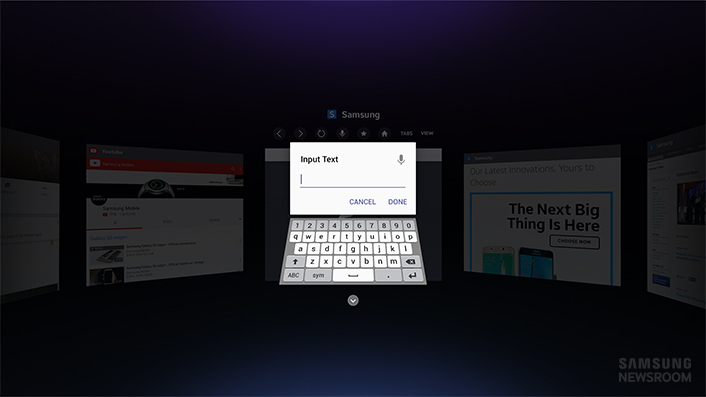 Samsung Electronics announced the web browser optimized for Gear VR. 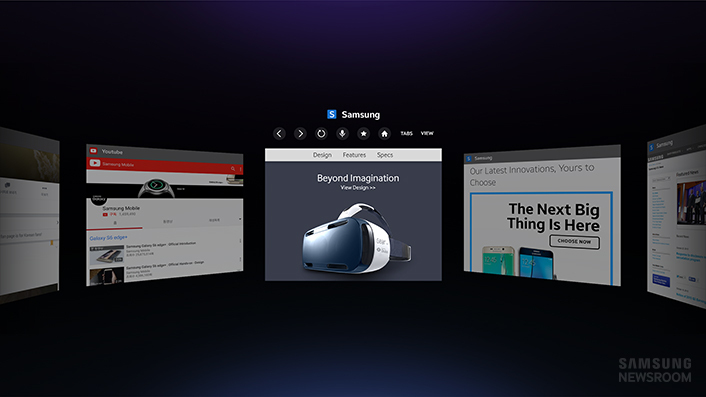 Samsung Internet for Gear VR is the latest virtual reality service along with a strengthened VR content ecosystem. The app now allows users to intuitively browse the web and enjoy content in a more immersive atmosphere without having to download content on to their smartphones. Through the Internet for VR, users can directly enjoy a variety of on-line content by browsing the web. It supports both 360-degree and 3D video streaming, as well as any HTML5 video from the web, allowing users to enjoy video content in a fully immersive environment. Furthermore, in order to make text input intuitive and easy, Internet for VR provides voice recognition, along with on-screen keyboard. With Gaze Mode, users can select menus by simply gazing at them, without having to lift a finger. The app can also import bookmarks from the mobile web browser, Samsung Internet for Android, and provides helpful features such as Quick Access, Bookmarks and Tab Manager, giving users a familiar web browsing experience. 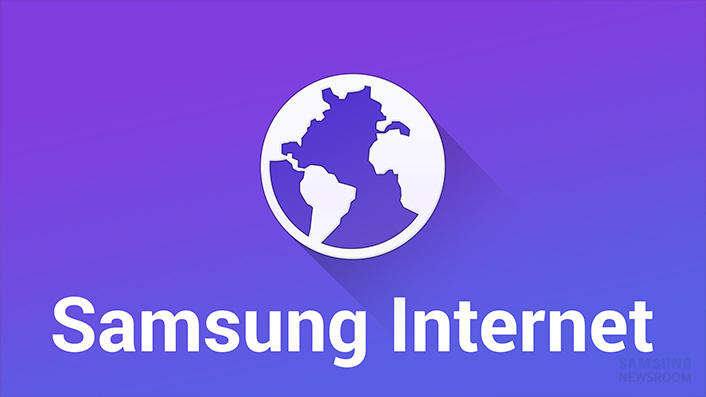 Samsung Internet for Gear VR beta version will be available for download in the Oculus Store beginning December 2. Supported Samsung devices include: Galaxy S6, Galaxy S6 edge, Galaxy S6 edge+, Galaxy Note 4 and Galaxy Note5 with Gear VR. Full details are available at www.samsungmobilepress.com.